When it comes to choosing a builder for your future home, there are ten secrets our team want you to know – and we’re sharing four of them with you today! The other six you will find in our helpful Aston Homes eBook – which you can download for free, right here! By considering each of these four secrets carefully, you’ll soon be on the path to choosing the right builder for your home. Let’s get started! At Aston Homes, we present our display suites with the same level of attention to detail and quality as we do our finished homes. Our friendly, professional team will walk you through every aspect of our display properties in fine detail. Unlike many builders, Aston Homes don’t believe in add-ons or tiered pricing. What you see at our display locations – from the gleaming kitchens to the quality fixtures – is exactly what you’ll get in your new home. No hidden extras. A visit today to start planning a bright new future. 2 – Choose A Builder With Beautiful Homes Under Construction, Too! Make sure your builder isn’t dazzling you with an impressive display home, filled with optional extras to pushing you beyond your budget. Ask to see the properties they have under construction to get a great feel for their process and commitment to transparency. You’re always welcome to view Aston Homes’ current builds, and learn more about our building process. At Aston Homes, we’re committed to delivering the finished property to our clients which exceeds their expectations. We love to engage our customers in the building process, helping them feel a sense of connection to the community they’ll soon be building their future within. You’ll find us frank and approachable, and we invite you to our building sites to observe our homes under construction. 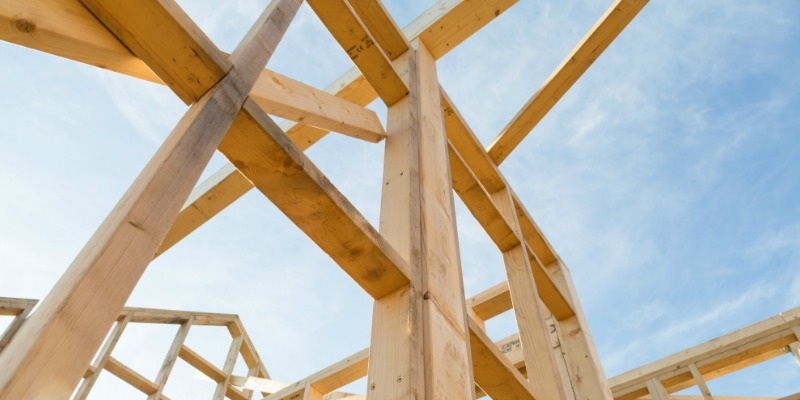 When you begin to consider building a home, it’s likely your friends and family will warn you about less than professional developers and their hidden costs that will leave you out of pocket. They’re wise to do so, as many builders entice buyers with fancy advertising and luxurious display suites. Enthusiastic buyers are under the impression they can purchase the property they’ve fallen in love with for the advertised price – before realising that they’ll actually need to pay tens of thousands more for the ‘premium’ version of the property they visited in the display suite. At Aston Homes, our all-in pricing model means the display home you view is the home you’ll get. If you see fancy tap ware, you’ll get fancy tap ware. Stone island bench? You’ll get that, too! We offer our home builders a sense of confidence in their new build, safe in the knowledge that it will be delivered at a fixed price. Aston Homes will work with you through each stage of your building journey, giving you regular updates on your home’s progress. You’ll also receive a personal note from our team prior to commencing each stage of your build, so you’re always in the know. Upfront, transparent: that’s Aston Homes. With Melbourne growing at an exponential rate, many builders are focused solely on getting homes completed and moving on to the next project. This means that for many home builders, they get their keys, and that’s the last they hear from their builder. Rest assured, the Aston Homes experience is different. Aftercare is a critical part of our service – as we know from experience that you’ll have questions for us long after you’ve happily moved into your new home. If there’s anything you need, the Aston Homes team are simply a phone call away. We’re serious: call us. Director Victor recently “dropped a new towel rail ’round to the house of our good client, Bikram” – that’s the type of personal service you can expect from Aston Homes. Looking for more information? Head to the Aston Homes website to download our free eBook to unlock the six remaining must-know secrets to choosing a builder. For more information on Aston Homes communities, give our team a call, visit our website or join us at our display homes!